You’re making a major purchase at a department store or big box retailer. You’re offered savings and promotions if you sign up for a store credit card on the spot. Why wouldn’t you take advantage of the offer? A store credit card might be an excellent option for you – or it may be a regrettable decision. A recent survey by CompareCards suggests that the odds are close to a coin flip. 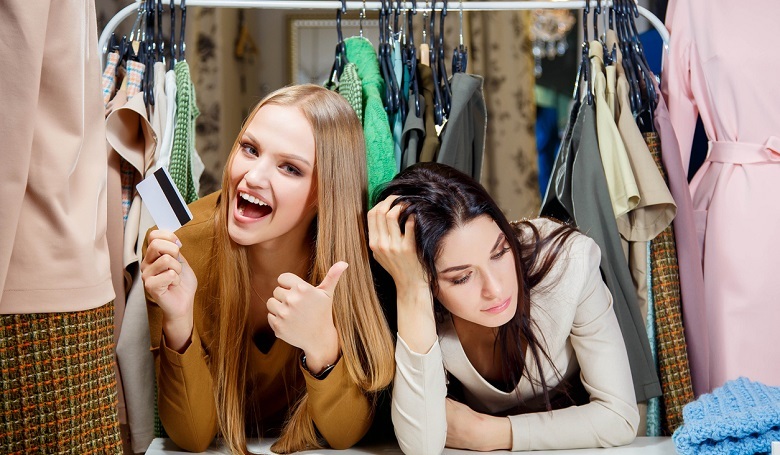 The survey found that approximately three-quarters of Americans have had a store credit card, and almost half of those Americans regretted getting one. Younger Americans (millennials and Generation Xers) and parents of children under eighteen were more likely to regret their decision. The more money you make, the more likely you are to regret getting a store card. In households with incomes of $100,000 or more, 88% have had at least one store card and 58% regretted their decision. Why all the regrets? Store cards may come with deals and promotions, but they also tend to come with higher interest rates. The average annual percentage rates (APR) for a store credit card was just under 25%, as compared to the approximately 17% average APR for all credit cards. Several store cards, including Staples and Big Lots, charge 29.99% – a typical penalty rate for most credit cards. Some store cards carry lower minimum APRs, led by Bass Pro with 9.99% and Dillards at 11.99%. However, those cards have maximum rates of 25.99% and 26.99%, respectively. Be sure you know which rate you qualify for before accepting a card. Two-thirds of survey respondents know that store card APRs are higher – implying that many Americans either think they can avoid spending more than they can pay each month, or they don’t bother looking at economic tradeoffs. They’re lured by “instant” savings and store perks, not thinking of the interest charges that can wipe out savings. In addition, the survey found that 88% of cards with special financing offers contain deferred interest clauses. If you don’t pay off the balance during the promotional period, you’ll be charged accrued interest on purchases dating back to the original purchase date. You may load up on purchases during a 0% APR introductory period, not realizing that zero isn’t zero if you don’t pay off the balance at the end of the period. Aside from high APRs, store cards have the added drawback of tempting you to overspend at that store. Store cards generally have lower limits, therefore, you’re more likely to be using most of your available credit on that card – a factor that will further lower your credit score. You can check your credit score and read your credit report for free within minutes by joining MoneyTips. Is a store card right for you? It might be – but that’s not a decision you should make on the spot. Store cards are best for consumers who don’t carry a balance and can control their spending on that card. They can enjoy substantial benefits without paying for the privilege. However, the benefits should be weighed against using a standard rewards or cash back card that can be used anywhere. If you’re looking to build credit with a store card, find one that fits your shopping needs but is less likely to lead to overspending (for example, a gas station card). Generally, if you carry a balance, you’re better off using a card with a lower APR. How does the card offer compare with your existing cards? Will you save enough money in discounts to offset extra interest charges? Make your decision on store cards an economic one, not an emotional one.